CINCINNATI, OH — StriveTogether, a national nonprofit working to bring communities together around data to make decisions and improve results for kids, today announced Dr. Russell Booker has been elected to serve on its board of directors. 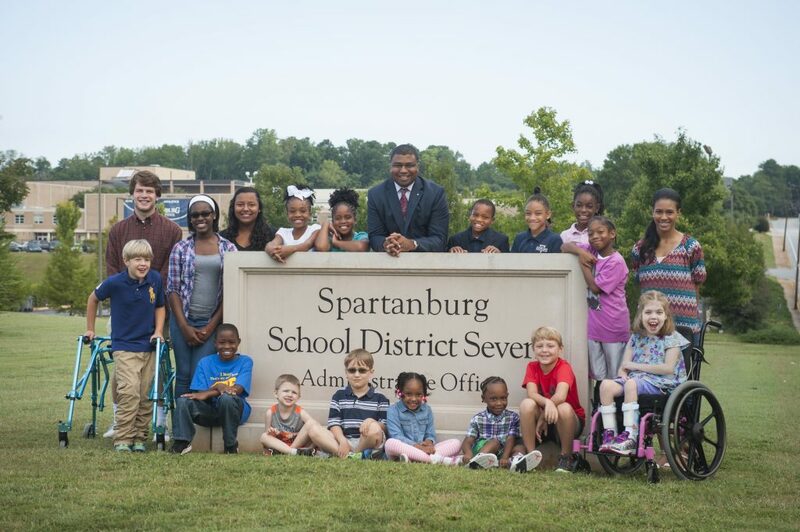 Booker, superintendent of Spartanburg School District 7 in Spartanburg County, S.C., brings more than 25 years’ experience in education to his role as a board member. As District 7 superintendent since 2010, Booker has led a total restructuring of the district, a complete digital immersion and a comprehensive capital plan. He serves on the board for the Spartanburg Academic Movement, a member of the Cradle to Career Network. He also serves on the board for Wingate University and is vice chair of the Liberty Fellowship Board. Before coming to District 7, Booker served as superintendent for York School District 1. He is a South Carolina Liberty Fellow (affiliate of the Aspen Global Leadership Network) and a graduate of the Diversity Leaders Initiative. In 2015, he was named the South Carolina Superintendent of the Year by the South Carolina Association of School Administrators (SCASA) and also named Superintendent of the Year by the South Carolina Athletic Administrators Association. He is past president of SCASA’s superintendents’ division. Booker received his bachelor of science degree from Wingate University and his doctorate from the University of South Carolina. Russell and his wife, Sheryl, are the proud parents of two sons and live in Spartanburg. StriveTogether leads a national movement of 70 communities to get better results in every child’s life. We coach and connect partners across the country to close gaps by using local data, especially for children of color and low-income children. Communities using our proven approach have seen measurable gains in kindergarten readiness, academic achievement and postsecondary success. The StriveTogether Cradle to Career Network reaches 10.5 million students, involves 10,800 organizations and has partners in 30 states and Washington, D.C.